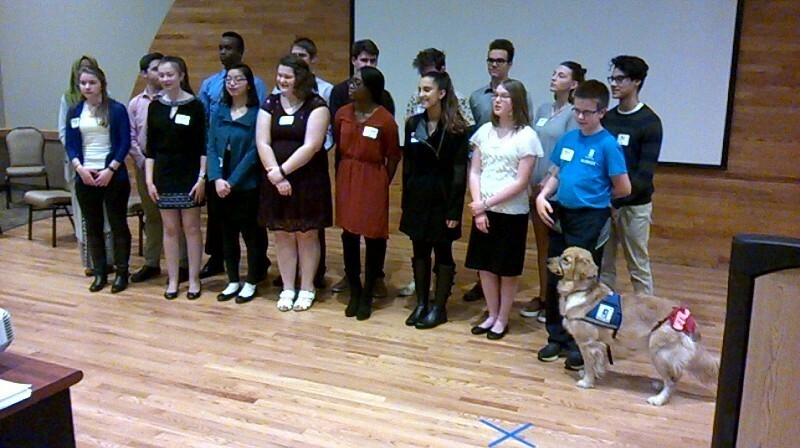 In addition to supporting many youth programs in the community, the Glen Lake Optimists also provide their time and talents, though they may be limited, to community events. On May 3, 2019 we will be volunteering at the ResourceWest SpringFest at the Minnetonka Community Center. This is a fundraiser for ResourceWest. June 1, 2019 we will be manning a rider stop at Aquila Park during the Tour-De-Cure. The Minnetonka Summer Festival is June 22, 2019 and once again we will be selling pizza. Hope for great weather and come see us. Sept 6,7 and 8, 2019 , we will be at the Cub Foods hotdog stand at Highway 7 and 101. The proceeds from this event go to Hopkins Empty Bowls and are then divided between ICA and ResourceWest. The Glen Lake Optimist Club would like to thank all of you who purchased a tree or wreath from our tree lot for the 2018 Holiday Season. Your continued support allows us to support youth in and around our community. Also we would like to give a big thank you to those who who volunteered with staffing the lot. Our success every year is greatly dependent on the efforts of our volunteers. May all of you have a great 2019 and we look forward to seeing you again during the 2019 holiday season. The Optimists are appreciative of everybody who helps with setting up and operating our tree lot every year. 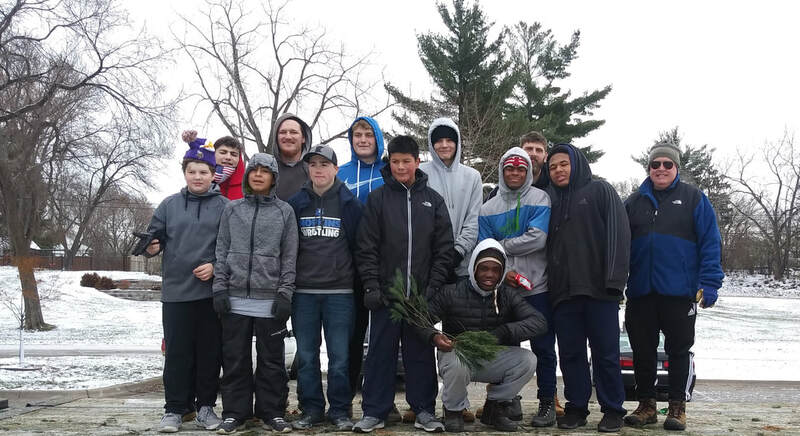 Pictured above are members of the Hopkins High wrestling team who helped with the unloading of the trees. Thanks Wrestlers. "Is There a Fine Line Between Optimism and Reality?" To get more information and an application form, please go to the Oratorical Contest page. Again this year the Glen Lake Optimist Club will be sponsoring an essay contest. The topic for this years contest is "When All The World"s Problems Are Solved, Is Optimism Still Necessary?". The deadline for this years application is 12/20/2018 with the essay having to be postmarked before 12/30/2018. The first place award from the local club is $100 and a medallion with the award from our DMM District being a $2500 college scholarship. For further info and the application form, please go to ESSAY Contest page. The contest is open to students under the age of 19 on Oct 1, 2018 and not enrolled as a degree seeking student in a post-secondary institution. Kevin Sookhar who is undecided where he will be attending at the present. Congratulations to both and may your studies go well and be enjoyable. Among the programs we support is the Juvenile Diversion Program run by the Northern Star Council of the Boy Scouts of America. The program was established in 1996 to encourage and guide young people between 10 and 18 who are first or second-time offenders of a low-level offense to become aware of their behavior and its impact on society and their future. The program diverts youth from the court system and results show that 87% of participants graduate and maintain a clean record. Also 85% of participants improve relationships with their parents. For more information you can go to our links page on click on Northern Star Council web site. The Glen Lake Optimist Tree lot is closed for the 2017 season. We would like to thank those who purchased their Christmas tree at our lot. The selling of trees is our major fundraiser for the year. We are able to support the many programs which we help in our community only with the support of those who buy their tree from our lot. We wish you a Merry Christmas and a Happy New Year. We look forward to seeing you again in 2018. Thank you. We would also like to thanks those many individuals whom helped us by volunteering at our tree lot. Your help is and was greatly appreciated. A big thank you to those people also.